Brett Battles's first novel, THE CLEANER, is the first in a series about man named Quinn who cleans up messes, dead bodies in particular. 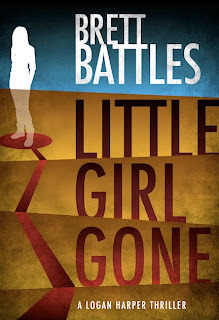 Like many traditionally published authors, Brett has been watching what has been developing in the world of self-publishing, and has recently released an all new novel, LITTLE GIRL GONE, as an ebook, along with two short stories. Brett: Joe, I've been following you for years, thinking deep down that you were right. Sometime last year that "thinking" became "knowing," and I decided to focus my efforts on creating stories that I would self-publish. For me, one of the most frustrating things to be about legacy publishing has been the time it takes from when a book is finished to when it actually comes out--something you and Barry talked about in your discussion. I'm a prolific writer, but with only one book coming out a year, I felt like a dog chained to a post, wanting to run, but unable to. In the last 10 months, I've written three novels, and could have written at least one more. 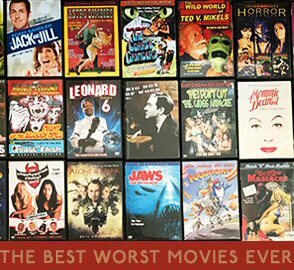 If I'd stuck to the legacy publishing route, who knows when any of them would have come out? I love to write, and with the way the digital world has open things up, self-publishing gives me the chance to cut that frustration out. Now, instead of missing months or even a year when a book could be out there making money, it's, well, out there making money right away. It's also hard to ignore the writing on the wall, or, rather, the gigantic words written in the sky. Publishing is changing. Soon the main audience will be reading digitally. The reasons not to self-publish have rapidly dropped away. I am in control of my manuscript. I am in control of my cover. I am in control of the entire process, and as the creator of the work, I've got to think that's the way it should be. It happened to the music industry in the 90s, and it's happening to us now. Writers are the new indie-bands, and I think the world has just gotten considerably brighter for us. Logan Harper's quiet life is upended when he finds himself in Los Angeles, searching for the missing granddaughter of his father's friend, and uncovering a sinister plot connected not only to the friend's Burmese past, but also to the boardrooms of corporate America. Logan must use skills from a life he'd rather forget to try and bring the girl home alive. Not everyone who gets shot is supposed to be shot. And those who are shot don't always die right away. It's not Quinn¹s job to kill people, but it is his job to clean them up. Sometimes, though, they're not quite ready to go. family. And rule number one: don't mess with family.